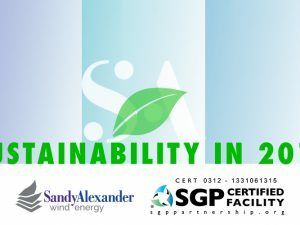 Sandy Alexander has been committed to environmental stewardship since before it was fashionable, establishing an Environmental Management System to ensure transparency and accountability. In 2005, Sandy was the first in the country to power its operations with 100% wind-generated electricity. As a known leader in color management, applying our expertise to reproduce the most demanding color on paper with high-recycled content is a priority. This proven ability, combined with Sandy’s ISO 14001 certification, Chain-of-Custody certifications and renewable energy commitment, provides our customers with a clear choice when they need to produce environmentally responsible marketing materials. All of our sheetfed non-UV 4C process inks are low-VOC inks made primarily from renewable materials and have 75% fewer VOCs than conventional inks. These sheetfed inks use the highest possible percentage of vegetable oil content. They maintain outstanding color stability on press, which also contributes to energy and paper savings. Sheetfed UV-curable inks emit virtually no VOCs. By contrast, the maximum vegetable-oil content can be only about 10% in the heat-set inks we use on our web presses, but over 99% of the VOCs generated are eliminated by the use of state-of-the-art thermal oxidizers. Sandy received SGP certification for our Wide & Grand/Retail Visual Merchandising facility in 2012. 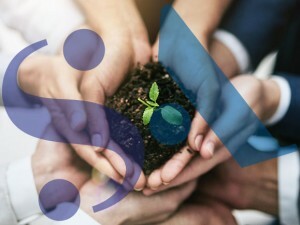 Our mission in accordance with the certification is to reduce environmental impact and act as socially responsible citizens through continuous improvement of sustainability and best practices within our company’s operations. The SGP certification is audited on an annual basis. To promote clean renewable energy, Sandy has committed to purchasing credits for all power needs from the Atlantic City Wind Farm in an attempt to discontinue the consumption of fossil fuels. Annually we acquire approximately 19,855,000 kWh of RECs from this Green-e certified wind energy source. By our estimation, we prevent the emission of over 21,096,105 lbs of CO2 equating to approximately 23mm miles of automobile travel. This is comparable to planting over 8,471 trees annually. Demonstrating a commitment to the sustainable management of the world’s forests, Sandy has received tri-certification for chain of custody paper from the Forest Stewardship Council (FSC), the Sustainable Forestry Initiative (SFI) and the Program for the Endorsement of Forest Certification (PEFC). These certifications ensure that a project is printed on paper from sustainable sources and is documented accurately from the forest all the way to the pressroom. Sandy Alexander has supported recycled fiber in paper for over 20 years by offering expertise in printing with 10-100% recycled content. 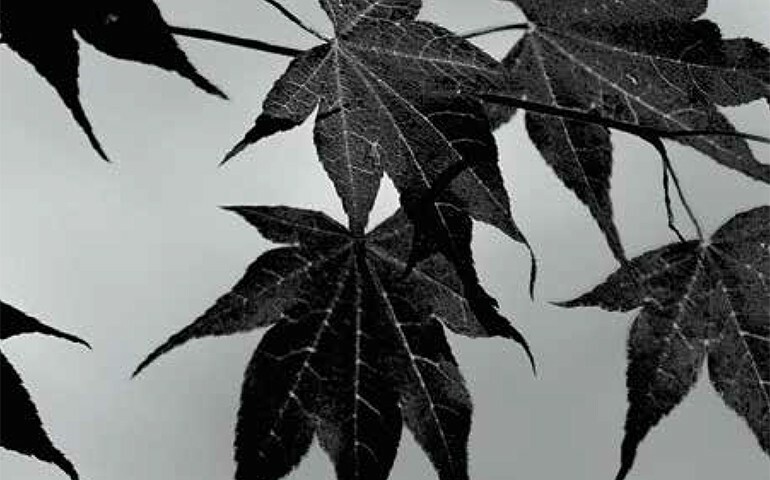 Our experts provide information on unique printing characteristics for each type of paper. 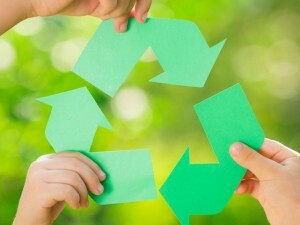 We also offer other paper options, including tree-free paper and paper from alternative organic sources (i.e. straw, coffee, mango, and “rock” paper). Goal Statement: Continue to reduce the percentage of our volume printed on vinyl by encouraging/converting customers to use more environmentally friendly polyethylene. Objective: To convert as many Retail Visual Merchandising Customers to PET banners from vinyl. 10% of vinyl purchased should be converted to PET. Results: 16.79% of vinyl purchased converted to PET. Goal Statement: To re-purpose the release liner from any lamination or substrate with adhesive and use them as slip sheets in order to reduce the percentage of raw materials purchased and used. Objective: To reduce the percentage of raw materials used as slips sheets by 50% by converting non- recyclable release liners into slip sheets instead of disposing of them as waste. Results: Reduced raw material consumption for slip sheets by 100%. Goal Statement: In 2016, reduce consumption of photo process chemicals by 30% vs 2015 chemical consumption by utilizing alternative technology through the education of our customers. Objective: Reduce consumption of corrosive chemicals by promoting clients to utilize our new Durst press. Results: Data is still being collected but we are on track to hit a 50% reduction in chemical consumption. In addition to these projects, Sandy Alexander’s main facility in Clifton, New Jersey has undergone extensive renovations in the past year. In order to maintain our position on environmentally responsible marketing, we decided to use 100% LED lighting in all the newly constructed areas of the building. Rather than buying new, all the cubicles installed are previously used and refurbished. Lastly, we installed wireless programmable thermostats throughout the entire building to maintain efficient climate control. These thermostats can be remotely shut off in parts of the building not in use in order to minimize energy consumption. 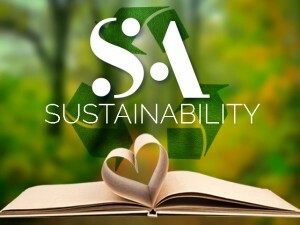 For more information please visit our Sustainable Intelligence page. If you have any questions about Sandy Alexander’s Environmental Management System please feel free to contact Sandy Alexander at hello@sandyinc.com or call 973-470-8100.